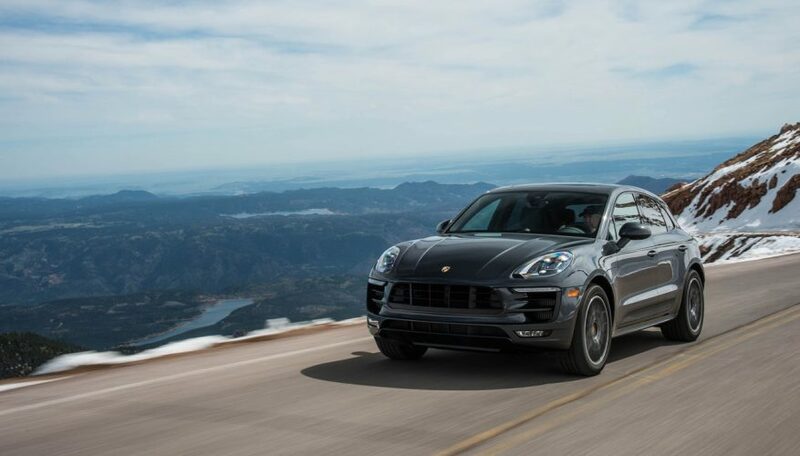 If you want the sportiest compact luxury SUV on the market, look no further than the 2018 Porsche Macan. 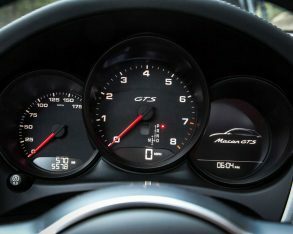 Its quick in all of its trims, blisteringly fast in some, and handles like you’d expect from the quintessential sports car brand—brilliantly. 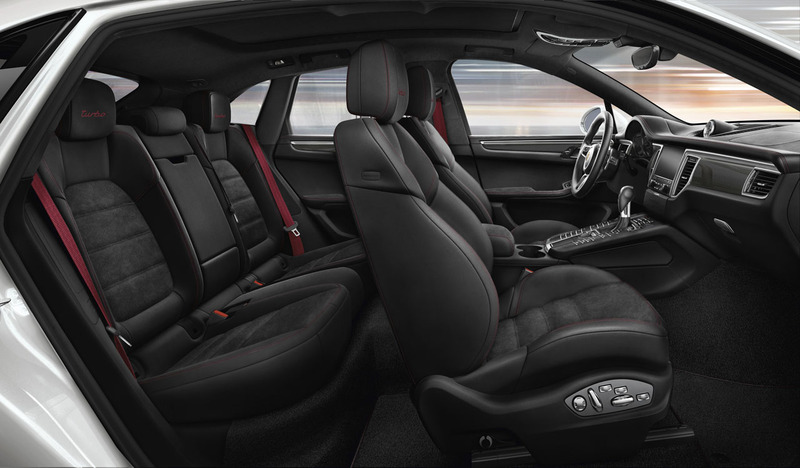 It’s also stylishly sleek, roomy and comfortable, and beautifully finished inside. 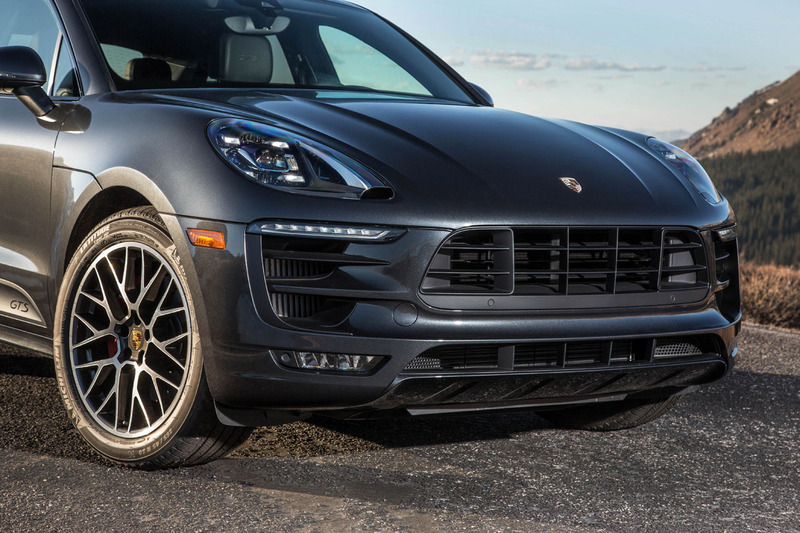 At just $54,100, the Macan is also the most affordable Porsche model available in Canada. 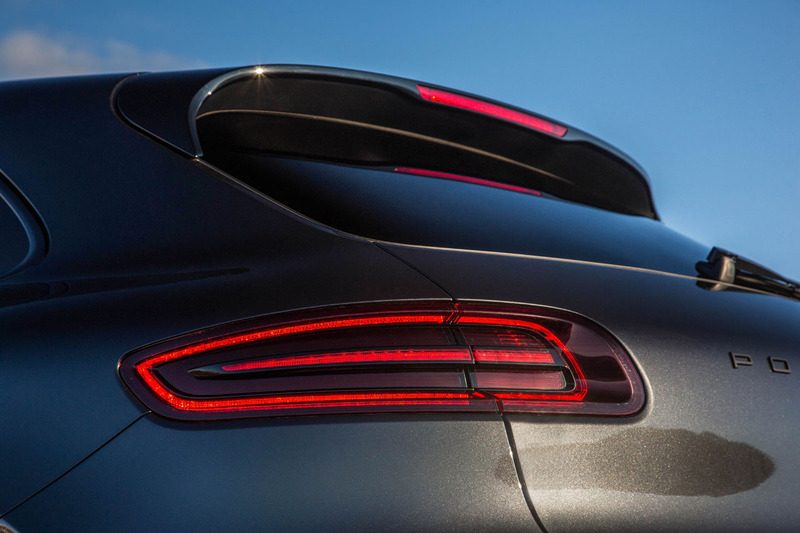 Entry trims feature a spirited direct-injected and turbocharged 2.0-litre four-cylinder engine with VarioCam technology and kinetic energy recovery that’s good for 252 horsepower and 273 lb-ft of torque, the latter number more than most competitors have on offer. 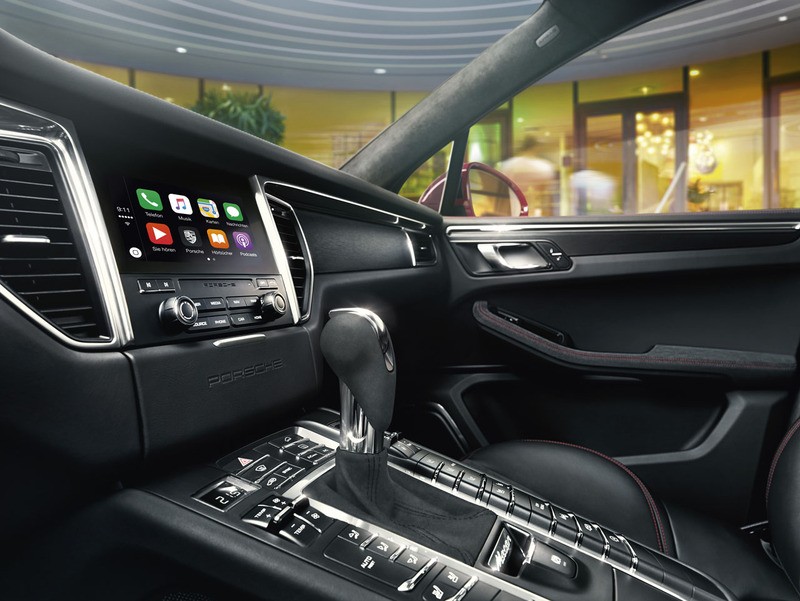 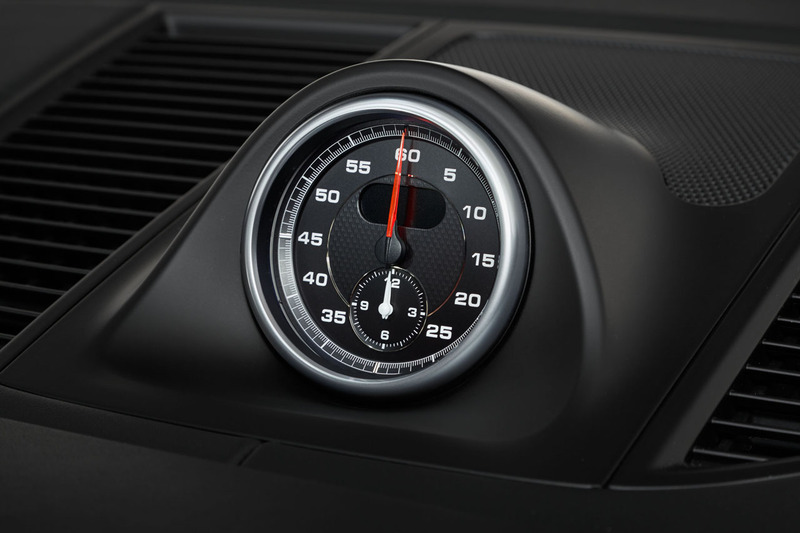 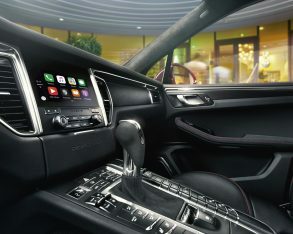 This allows an energetic sprint from zero to 100km/h of just 6.7 seconds, or 6.5 with the $1,500 Sport Chrono Package that features Sport and Off-Road buttons within the drive mode selector, as well as launch control and a unique performance display within the infotainment touchscreen. 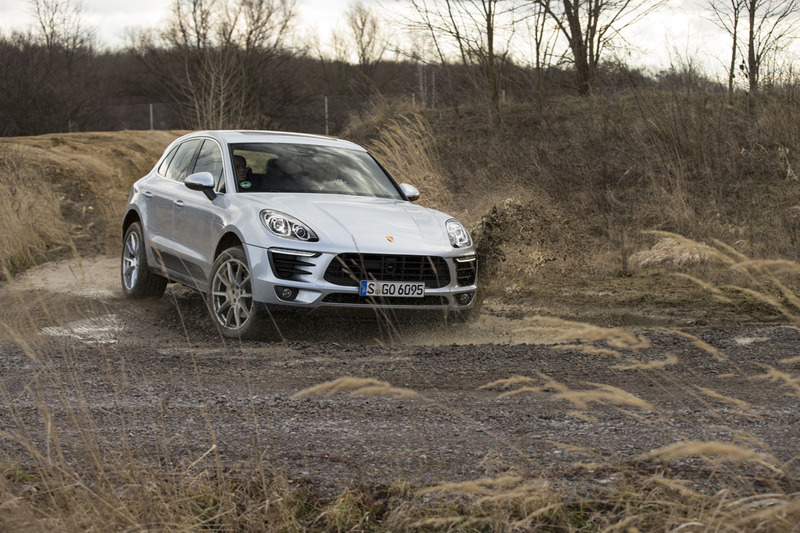 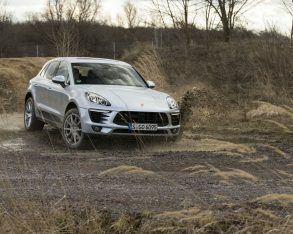 No matter whether the base Macan is standard or equipped with the Sport Chrono Package, it tops out at a speedy 229 km/h. 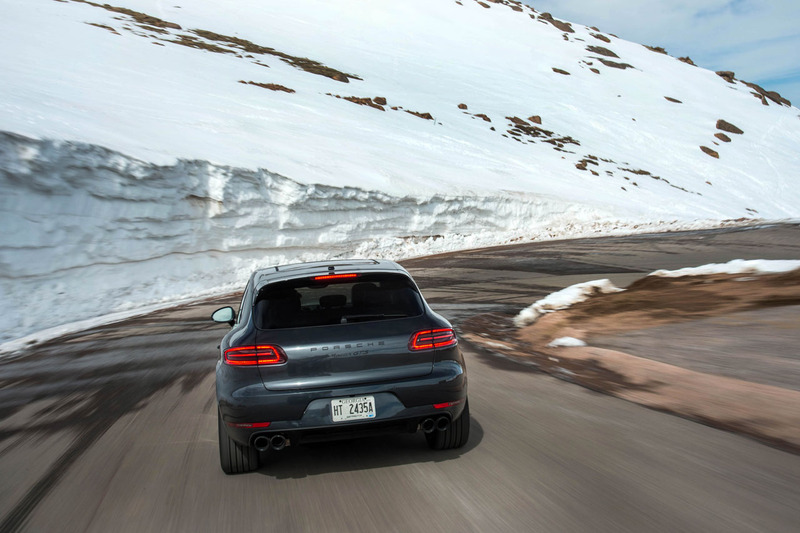 Those wanting more straight-line performance can opt for the Macan S with its twin-turbocharged 3.0-litre V6 boasting 340 horsepower and 339 lb-ft of torque, this choice resulting in a standstill to 100km/h sprint time of just 5.4 seconds, or 5.2 seconds with the Sport Chrono Package, and a new top speed of 254 km/h. 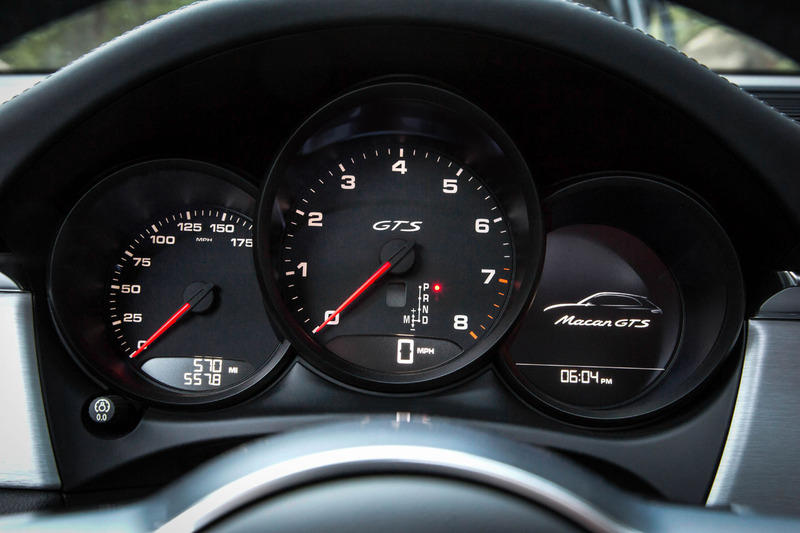 Most brands would be satisfied with this impressive level of performance, but most brands aren’t Porsche. 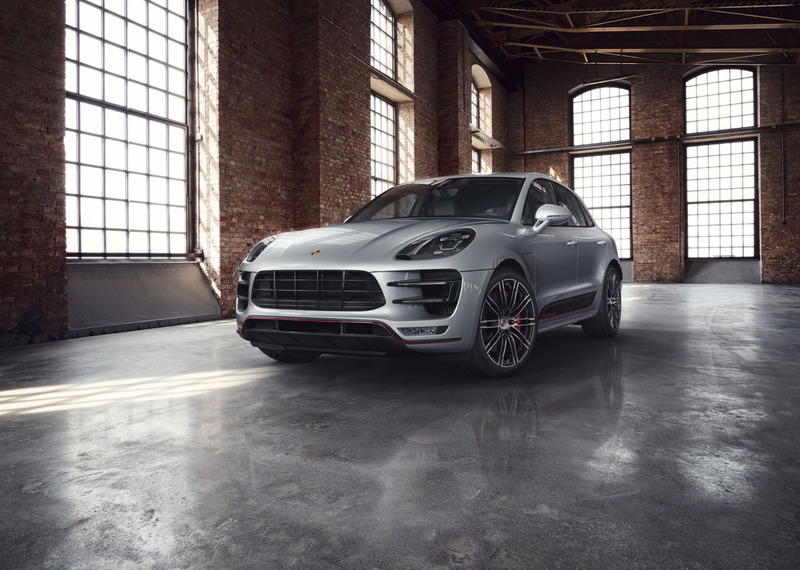 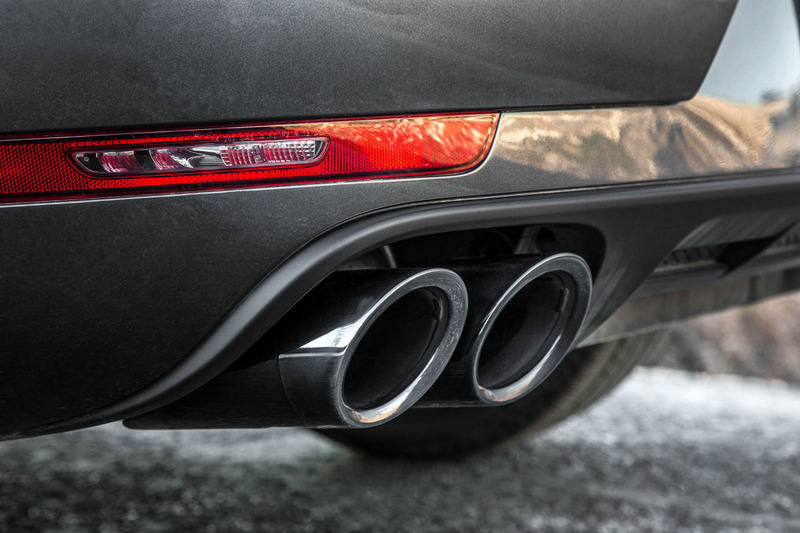 Enter the Macan GTS, featuring an extra 20 horsepower and 30 lb-ft of torque for a total of 360 of the former and 369 of the latter, resulting in a zero to 100km/h time of just 5.2 seconds, or 5.0 seconds flat with the Sport Chrono Package, and an improved terminal velocity of 256 km/h. 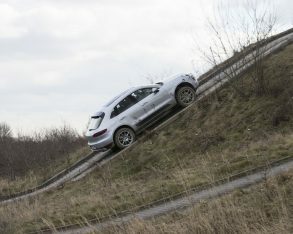 Lastly, the Macan Turbo (Turbo being a designated model name despite all Macan trims featuring turbocharged engines) leaves all other compact luxury SUVs in the proverbial dust thanks to a larger 3.6-litre twin-turbo V6 that’s good for 400 horsepower and 406 lb-ft of torque, resulting in a zero to 100km/h launch time of 4.8 seconds, or 4.6 seconds with the Sport Chrono Package, plus an even faster top speed of 266 km/h. 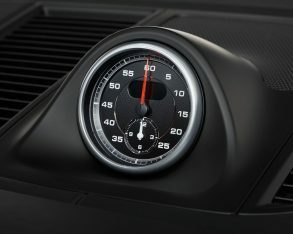 Not quick enough? 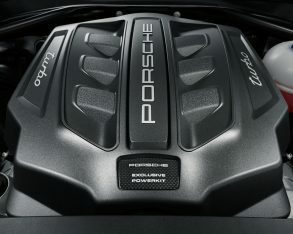 Porsche being Porsche means that you can always count on some upgrades and special editions, the Performance Package, or alternatively the Exclusive Performance Edition adding a substantive 40 horsepower and 36 lb-ft of torque to Turbo trim for a new total of 440 horsepower and 442 lb-ft of torque, and a resultant response off the line of just 4.4 seconds to 100km/h—the Sport Chrono Package is standard with both. 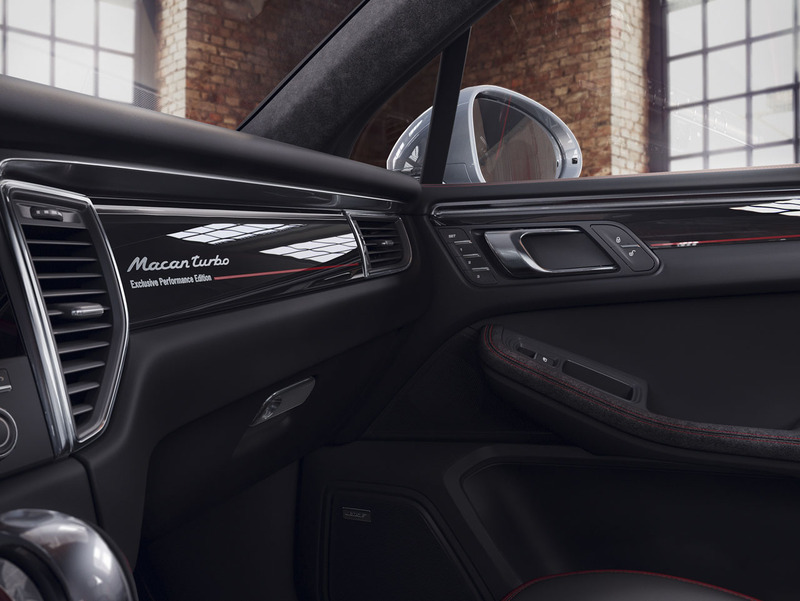 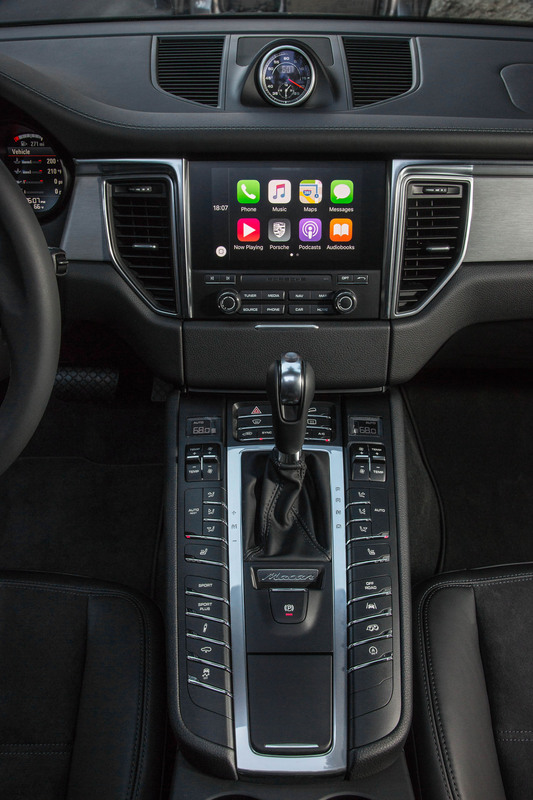 All Macans come standard with a quick shifting yet smooth and refined seven-speed dual-clutch automated PDK transmission with steering wheel-mounted paddle shifters plus fuel-saving and emissions reducing auto start/stop with coasting capability that shuts off the engine when it would otherwise be idling, while Active all-wheel drive keeps all four wheels firmly planted on the tarmac. 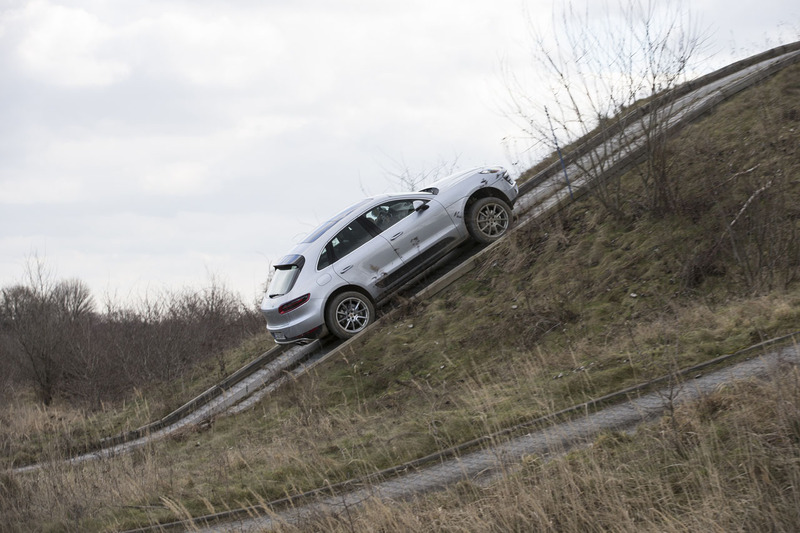 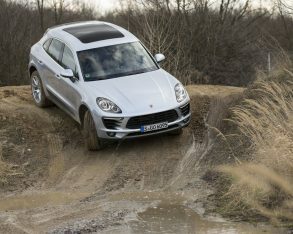 Likewise, all Macan trims feature an aluminum double-wishbone front suspension and multi-link rear setup, although an optional air suspension with adaptive dampers (standard on the GTS) improves both ride, handling and off-road capability via adjustable ride heights and various suspension stiffness settings. 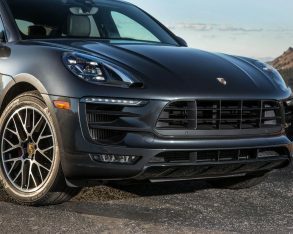 Wheel sizes range from the base model’s 18-inch alloys to larger diameter 19- and 20-inch alloys with upper trims, while optional rims and rubber are available up to 21 inches. 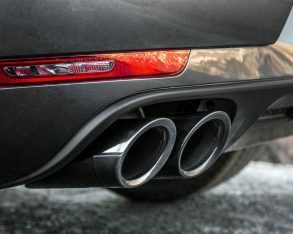 The standard brakes include four-piston front calipers and single units at the rear, but these can be upgraded to larger discs with beefier six-piston calipers up front, while the standard rotors measure 345 mm at the front and 330 mm in back, and increase to 360 mm front and 356 mm at the rear in GTS and Turbo trims. 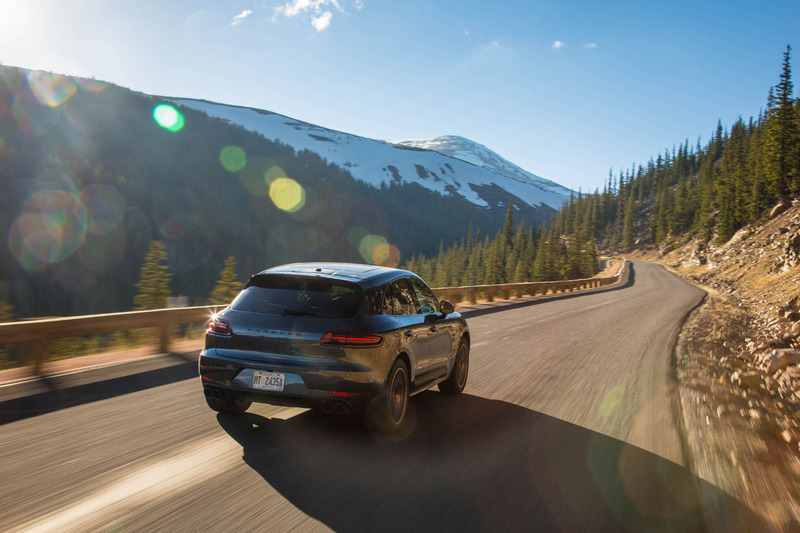 Of course, the four-cylinder is the fuel miser of the bunch, with a Transport Canada claimed rating of 11.6 L/100km in the city, 9.3 on the highway and 10.5 combined, but the single-turbo V6 is hardly a guzzler at 13.7 L/100km city, 10.4 highway and 12.2 combined, and the slightly more powerful GTS good for an estimated 13.8 city, 10.3 highway and 12.3 combined. 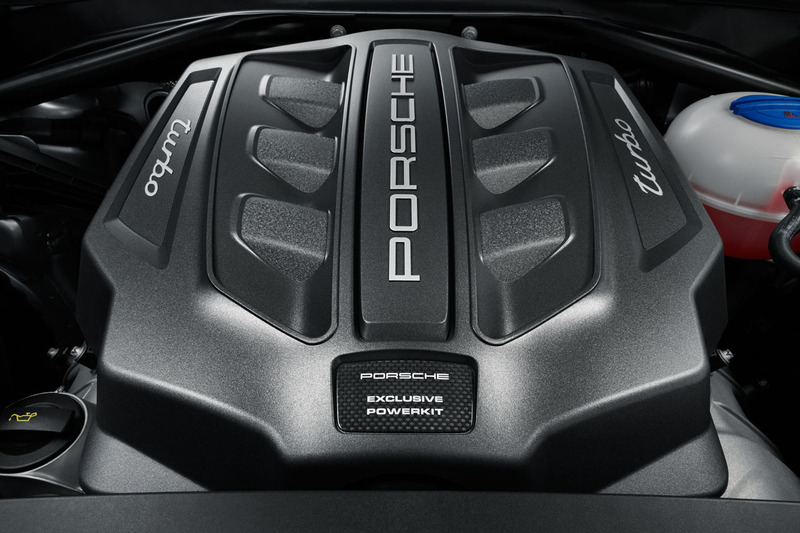 Even the ultra-potent Turbo isn’t punishing at the pumps, with a rating of 14.2 L/100km city, 10.1 highway and 12.4 combined, while the most powerful Turbo with the Performance Package is actually thriftier than the Turbo at just 14.1 L/100km in the city, 10.1 on the highway, and 12.3 combined. 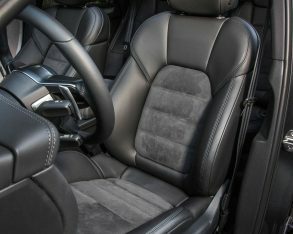 Of course, the various trims’ mechanicals are only one aspect of all that’s on offer, with the base model also featuring standard 18-inch alloys, fog lamps, LED taillights with adaptive brake lights, heatable powered side-mirrors, an electromechanical parking brake, a heatable leather-wrapped multifunction steering wheel, a colour multi-information display, rain-sensing wipers, a HomeLink garage door opener, tri-zone auto climate control with active carbon and pollen filtration, a 7.0-inch infotainment touchscreen, navigation, eight-speaker 150-watt audio with digital signal processing, a single CD/DVD drive, dual SD card slots, Bluetooth phone connectivity with audio streaming, an AUX/USB/iPod interface, HD and satellite radio, a backup camera with active guidelines, front and rear parking sensors, eight-way powered and heated front seats, a powered liftgate, a removable cargo cover, optimally flexible 40/20/40-split rear seatbacks expanding a 500-litre (17.6 cubic-foot) cargo hold up to 1,500 litres (53.0 cubic feet), tire pressure monitoring, lane departure warning, all the usual active and passive safety features including rear side-impact airbags, and more. 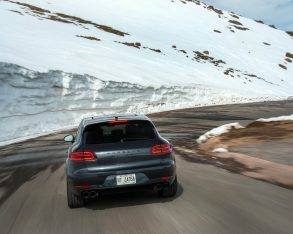 Above the base model, Porsche offers very well equipped $68,100 Sport Edition trim that adds a host of performance upgrades including Porsche Traction Management (PTM) with an electronic, map-controlled multi-plate clutch for the AWD system, a sport exhaust system featuring specially designed silver tailpipes, the Sport Chrono Package, Porsche Active Suspension Management (PASM) via an air suspension with self-leveling and ride-height adjustments that include a reduction in height of 10 mm, and larger 20-inch RS Spyder Design alloys with full colour Porsche crest wheel centres, while additional features include unique exterior styling, HID headlamps with four-point signature LEDs and dynamic cornering capability, auto-dimming side mirrors, glove compartment cooling, a panoramic sunroof, Porsche Connect Plus including Apple CarPlay, a telephone module, wireless internet access, and Porsche Car Connect services, a 14-speaker, 14-channel, 665-watt Bose Surround audio upgrade, leatherette and Alcantara upholstery, heated rear outboard seats, an aluminum cargo area sill protection plate, and more. 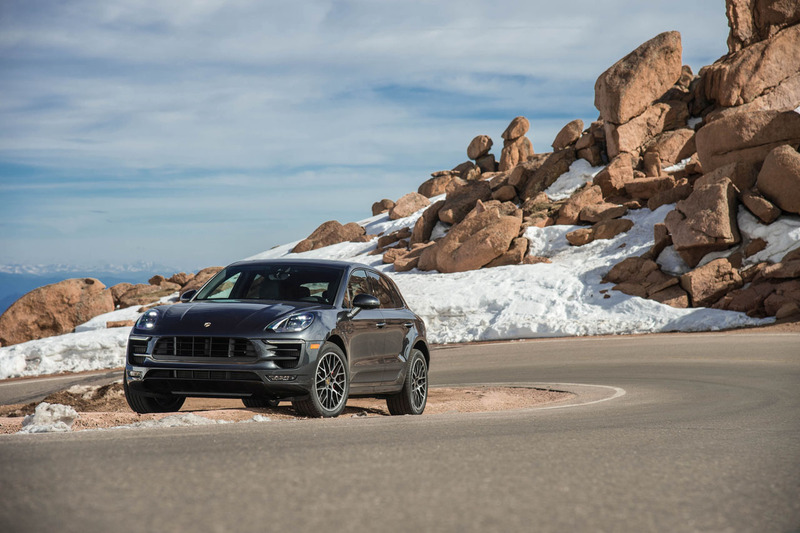 The Macan S is actually considerably less expensive than the Sport Edition at just $61,400, because it builds on the base model’s standard features simply by upping performance via the aforementioned 340 horsepower V6. 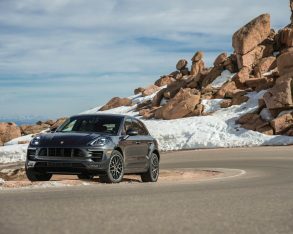 The GTS, priced at $76,000, adds power to the Macan S package as noted earlier, plus benefits from a beefier set of brakes from the top-tier Turbo line with red painted calipers, while adding the option of carbon-ceramic discs. 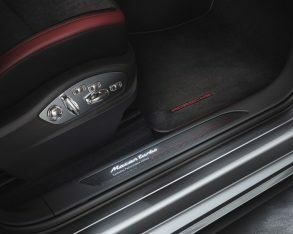 The GTS also gets a unique SportDesign package with blacked out styling details, the aforementioned HID headlamps, which include the larger 20-inch alloys noted earlier, plus a special red on black interior design including leather and Alcantara upholstery with red embroidered GTS logos, unique black-faced primary instruments with GTS graphics, and more. 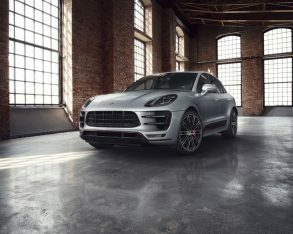 The Macan Turbo model lineup starts at $87,200 and includes the previously noted performance upgrades as well as more aggressive front and rear fascias, standard HID headlamps, 19-inch alloys framing the larger brakes mentioned earlier, Porsche Active Suspension Management (PASM), power-folding side mirrors, while inside it gets aluminum front door sill guards with “Macan turbo” script, upgraded materials including brushed aluminum inlays, a leather package featuring smooth-finish leather upholstery, 18-way adaptive front sport seats with memory, an Alcantara roofliner, navigation, the Bose surround audio system, and more. 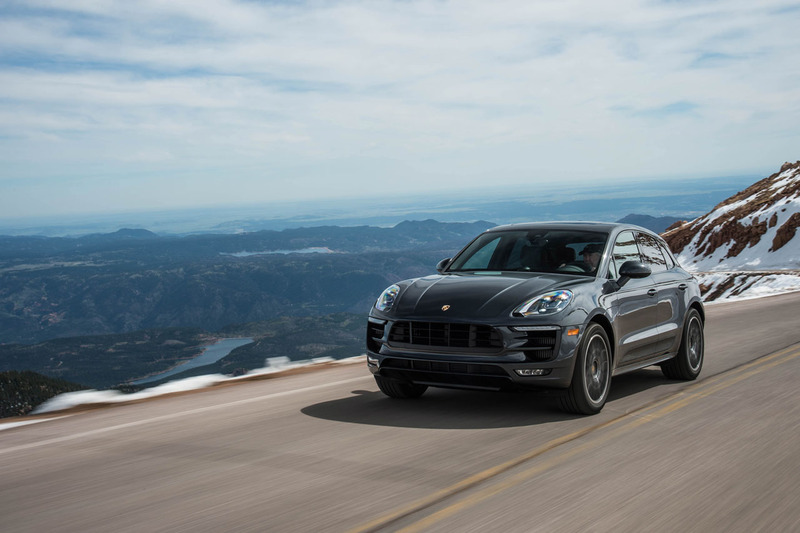 Lastly, the Macan Turbo with the Performance Package, which starts at $99,000, adds the previously noted power upgrades as well as the Sport Chrono package, quicker-shifting transmission settings, the 10-mm lowered air suspension, a sports exhaust system, and more. 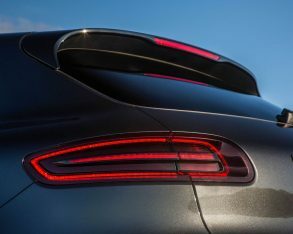 Of course, no matter the trim level Porsche offers a long list of options and packages, which, depending on the model in question, allows standard white or black exterior paints, along with a wide assortment of optional colours ranging in price from $790 for metallics to $7,440 for custom bespoke hues, plus you also get the choice of up to 16 different interior colourways. 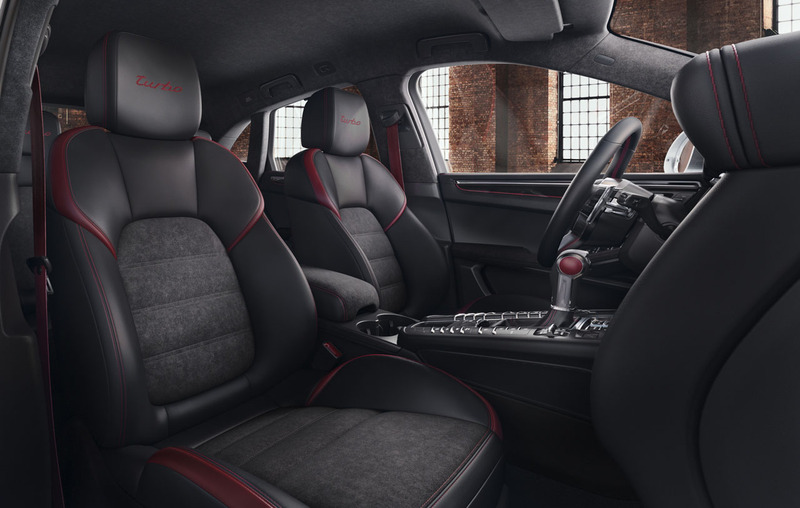 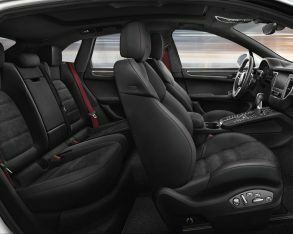 Likewise, one of three seat types can be ordered, 14- and 18-way adjustability, while ventilated front seats are also available. 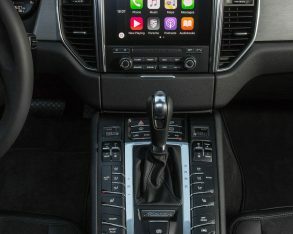 Additionally, performance options can include adaptive power steering, an active suspension, an active air suspension, torque vectoring, a sport exhaust, and the list goes on, while available advanced driver assistance systems include adaptive cruise control, plus lane change and lane keeping assist. 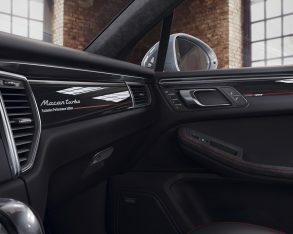 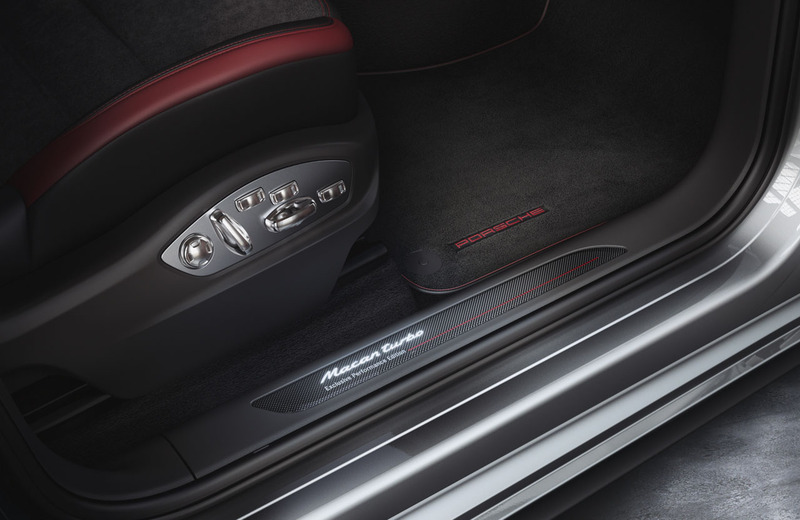 Additional options can include full LED headlights, roof rails, proximity-sensing access with pushbutton start, piano black lacquer, hardwood or carbon-fibre interior inlays, a surround parking monitor, a 16-speaker, 1,000-watt Burmester audio system, one of two different rear entertainment systems, and much more. 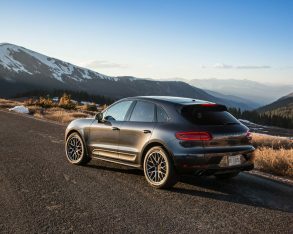 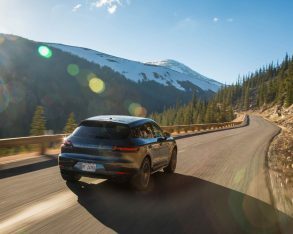 In summary, the 2018 Macan is a no-compromise compact luxury SUV that’s capable of serving all types of premium buyers with various levels of performance and features. 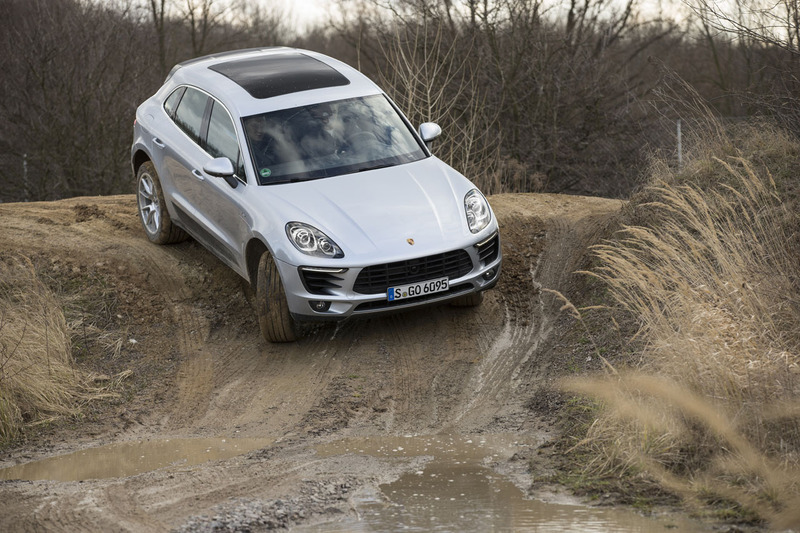 Its diverse powertrain lineup starts quick and efficient before finalizing as fastest in the class, while its suspension sublimely delivers a comfortable ride and otherworldly handling. 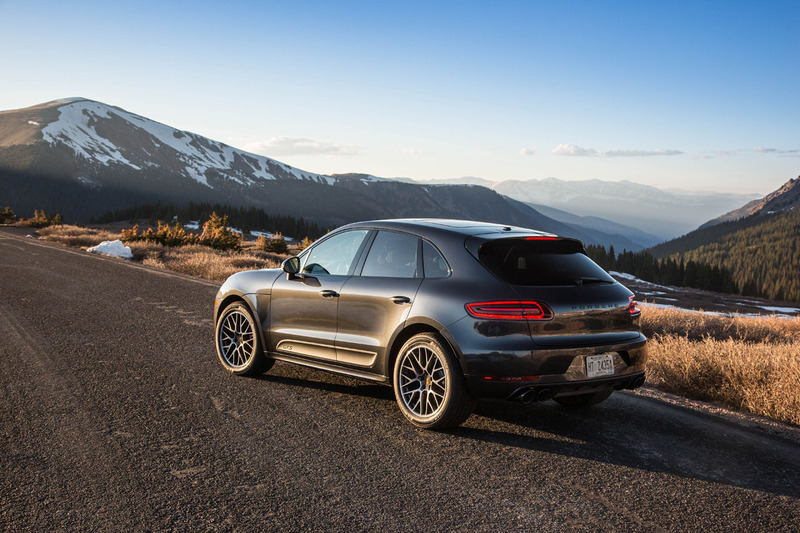 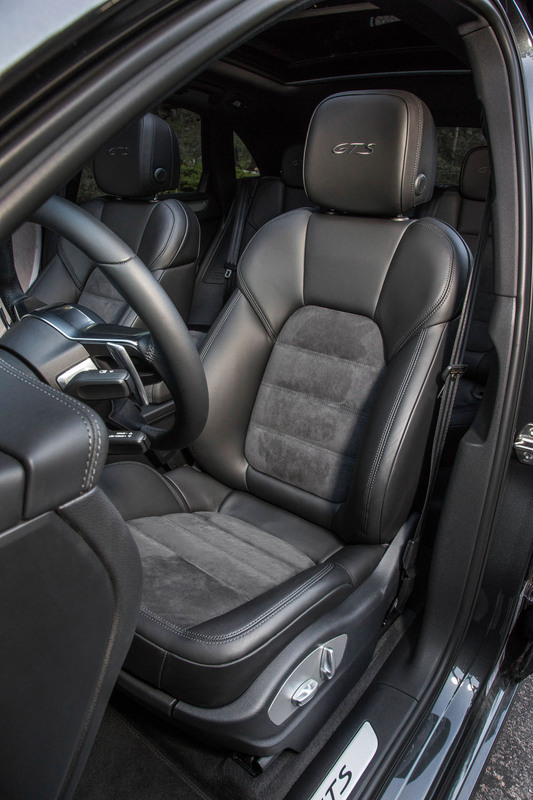 Such performance combines ideally with a cabin made from high quality materials, resulting in a compact SUV that’s impressive in most every way, while Porsche didn’t forget to design the Macan from onset to be as everyday practical as this class gets.